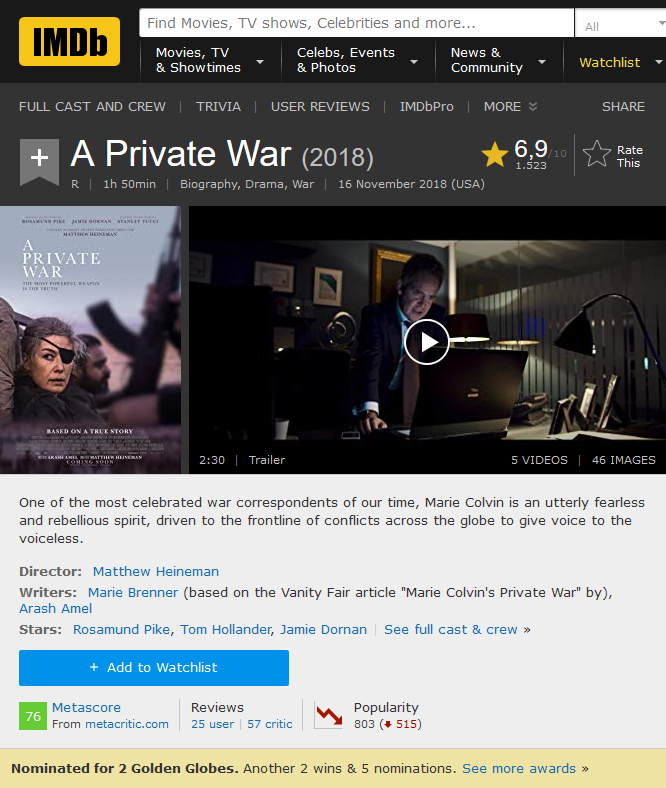 In a world where journalism is under attack, Marie Colvin (Rosamund Pike) is one of the most celebrated war correspondents of our time. Colvin is an utterly fearless and rebellious spirit, driven to the frontlines of conflicts across the globe to give voice to the voiceless, while constantly testing the limits between bravery and bravado. After being hit by a grenade in Sri Lanka, she wears a distinctive eye patch and is still as comfortable sipping martinis with London's elite as she is confronting dictators. Colvin sacrifices loving relationships, and over time, her personal life starts to unravel as the trauma she's witnessed takes its toll. 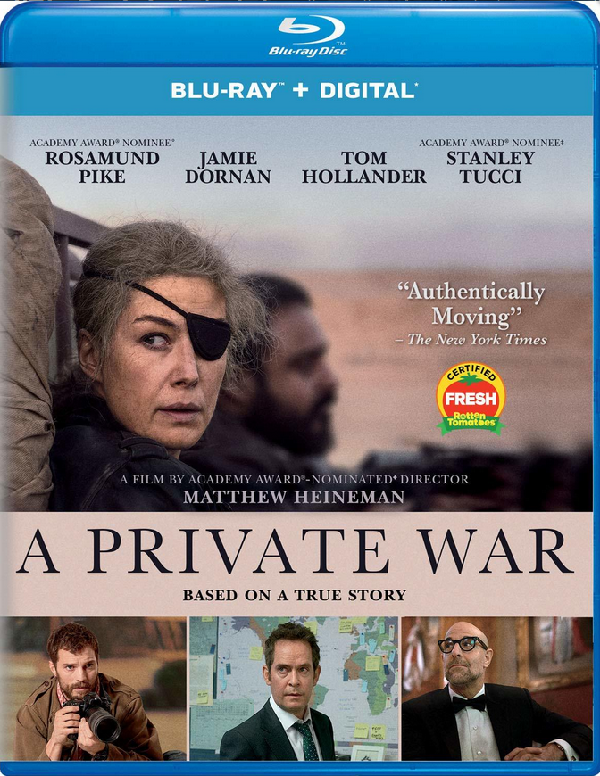 Yet, her mission to show the true cost of war leads her — along with renowned war photographer Paul Conroy (Jamie Dornan) — to embark on the most dangerous assignment of their lives in the besieged Syrian city of Homs.